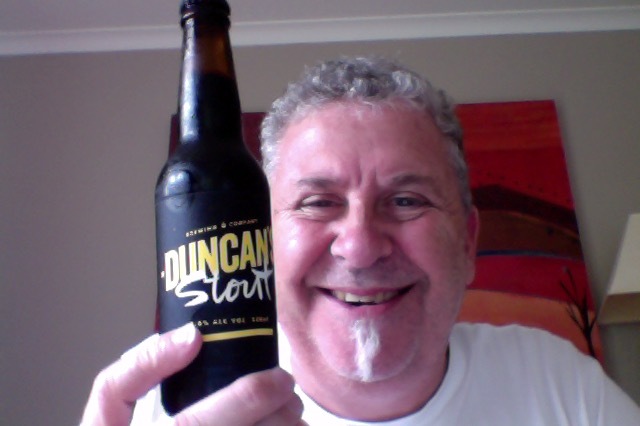 One of the pleasures is being given the gift of beer, and I’ve been given a box of Duncan’s, a mixed 6 pack – The Polymorphic Mix Six – a selection of this and that. 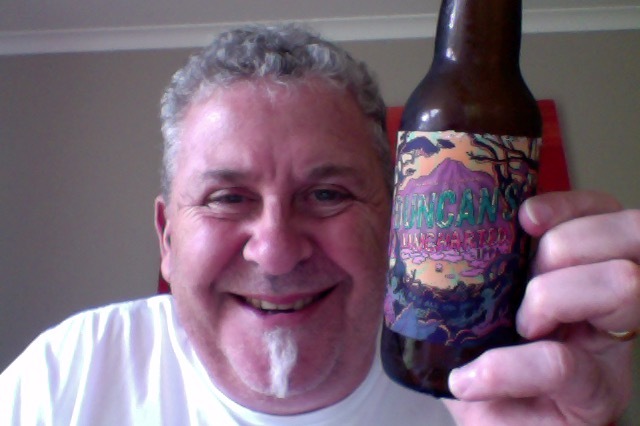 An Indian Pale Pilsner Ale this beer is a hybrid with a Pilsner base hoped up with loads of American hops. i’ve enjoyed IPL’s in the past, like really enjoyed them so this will be interesting. A very hoppy nose on opening, which is nice. Pour is a golden yellow bright pour with a lovely head of bright white. Nice carbonation too. I like it, it has a hop roughness in the mouth, a bite, that makes you pay attention, but after that I think it’s a bit muddled and unsure about itself. A confused tasting really, as one part of me really likes the aroma, and that snatching bite , a beer that looks great and sites well in the glass. The other part of me wonders where the body went though, sure there’s a sweetness and this is really nice drinking but I’d like more grassiness perhaps, something to backfill that initial bite. I wanted more, but I wasn’t disappointed with what I got, at the end of an intriguing week at work and on a Friday with some chill music and dinner being a mix and match affair of whatever is in the fridge this is about right. This is a 330ml bottle of a beer that is 5.6% ABV and that’s 1.5 standard drink units. This oatmeal stout is silky smooth with notes of dark chocolate and burnt caramel. 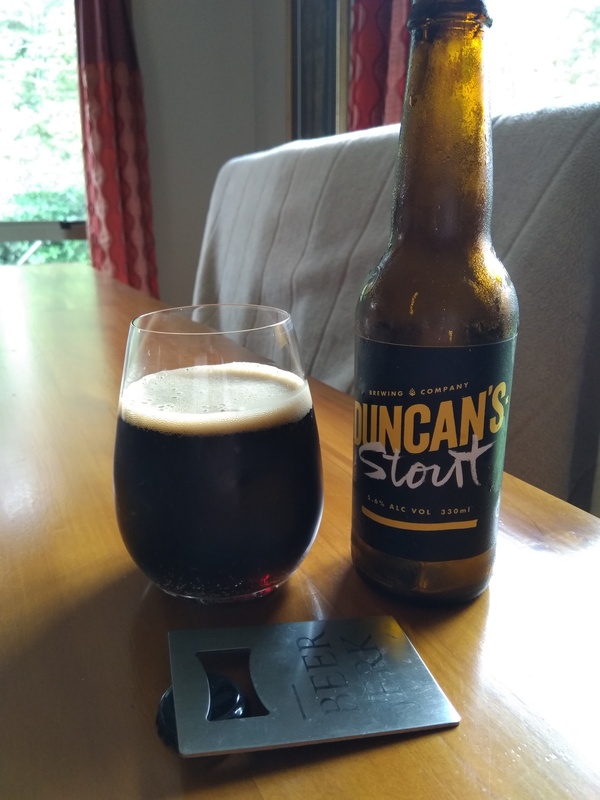 A Stout on a summer day, what could possibly go wrong? It’s the lighter end of dark, that is it isn’t pitch black but a dark brown like a veneer on an old piano. The aroma is what you expect from a stout, a deep rumbling burn smokey note. but alas I didn’t get any head when I poured, and I have not idea why that bothers me so much all the time. There’s a lot of flavour in that, a lot more than I expected. Quite high sharp tastes too, sweet and prickly, with some deeper chocolate type things in there. Honestly was not expecting that. You’d have thought the Oatmeal would have added that fluffiness and fullness that you get, in this case not so much. The carbonation seems to being with it a really sharp high note, and don’t think I enjoy it, and this really block what’s coming behind and with. What this isn’t is ‘Silky smooth’ though, far from it, that prickle is annoying. At the bitter/sharp end of what you could expect from an oatmeal stout that should be fuller in the mouth, but this does have that burnt caramel and chocolate hints going on, if only they could get a shot at the big time and not be shadowed out. The pdubyah-o-meter rates this as 7 of its things from the thing. It’s a stout. It’s not a brilliant stout, and really doesn’t do much to advance the cause for stouts, not that that is what it sets out to be or do. As a day to day stout there are probably better and more rounded options. Music for this: ”This Is Leon Bridges if you fancy a bit of the smooth, a bit like the talented version of me really. 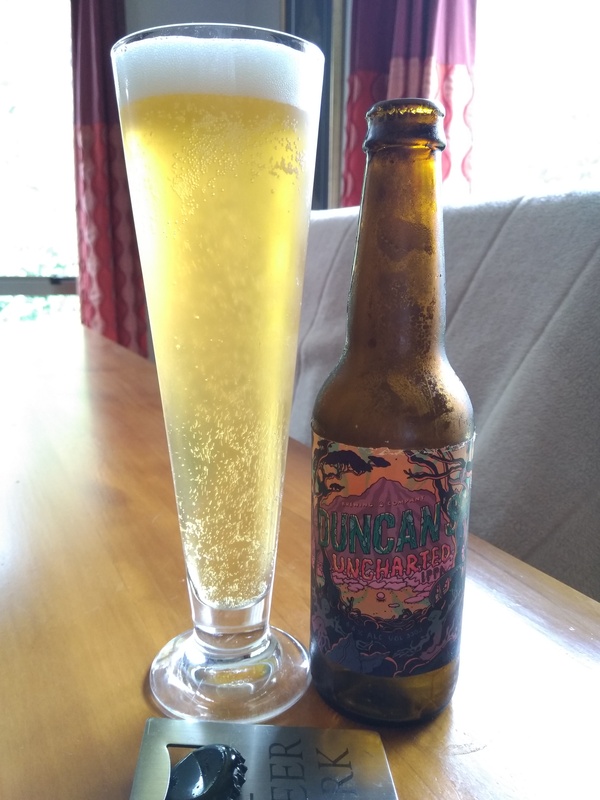 This entry was posted on January 18, 2019 by Philip Walter in Beer, Beer of New Zealand, Beer Review, Craft Beer, Critic, Duncan's, India Pale Ale (IPA) and tagged Duncan's Brewing Co, Duncan's Juniper IPA.